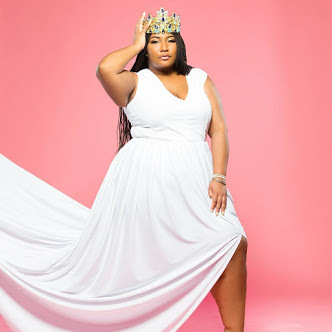 Memphis Fashion Week celebrates “local and regional fashion through designers, photographers, models and boutiques. 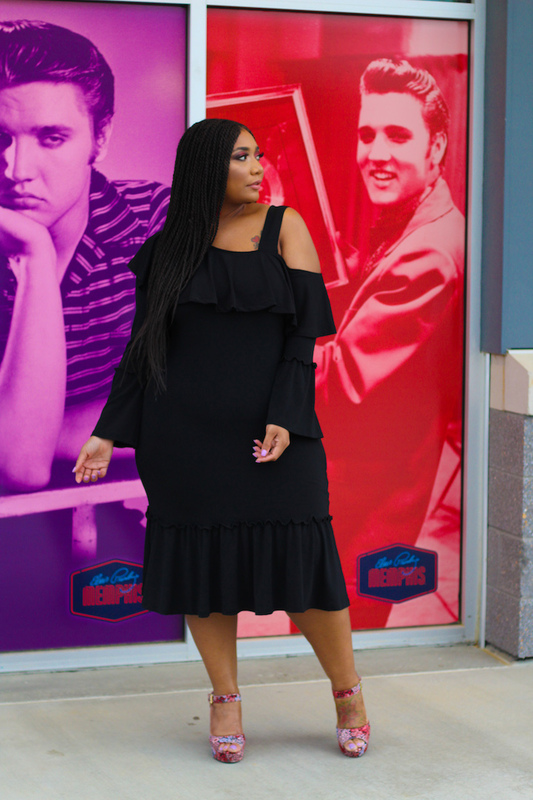 Proceeds from official events benefit The Memphis Fashion Design Network.” This style recap will be a “rolling” blog post for the next three weeks. I will add each event’s look on a weekly basis. Stay tuned! The first event I attended was the Trunk Show were headlining designers hosted a pop-up shop on the Highland strip. This event was super cool, because A portion of all sales will benefit MFDN. With this event my goal was casual and cute. 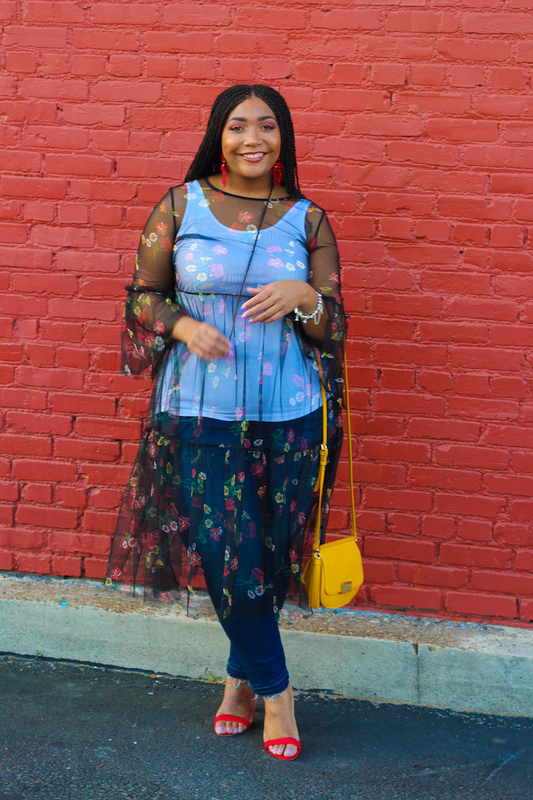 I wanted to recreate a look with my sheer dress with jeans as well as be comfortable in my block heels. Mission accomplished. Style Notes: My jeans are true to size in an 18. My red block heels are also true to size in a 10. 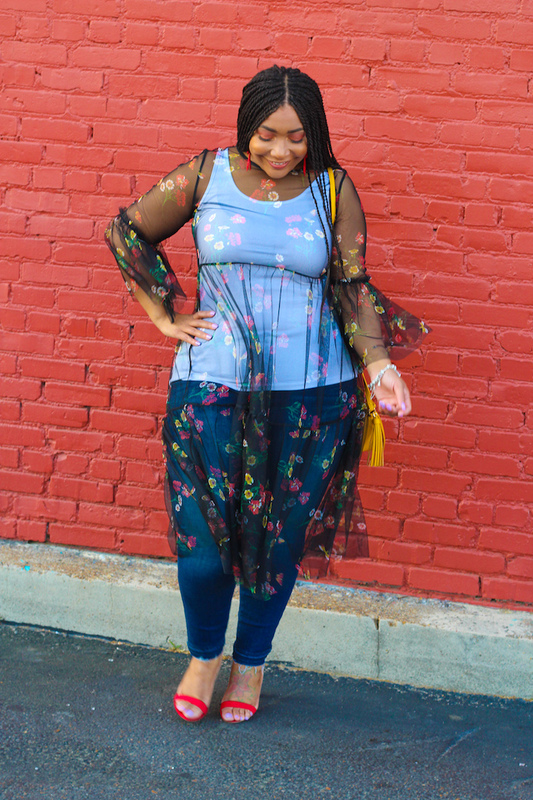 My sheer dress is oversided and the size large is perfect. The next event I attended was the Featured Designer Runway Shows that took place at Graceland’s Presley Motors Museum. This show featured looks from T I E N A from Memphis, TN, Daniel Maganta from Orange County, CA, This Is Sloane from Austin, TX, Ituen Basi from Nigeria, and Rachel Roy from NewYork, NY. 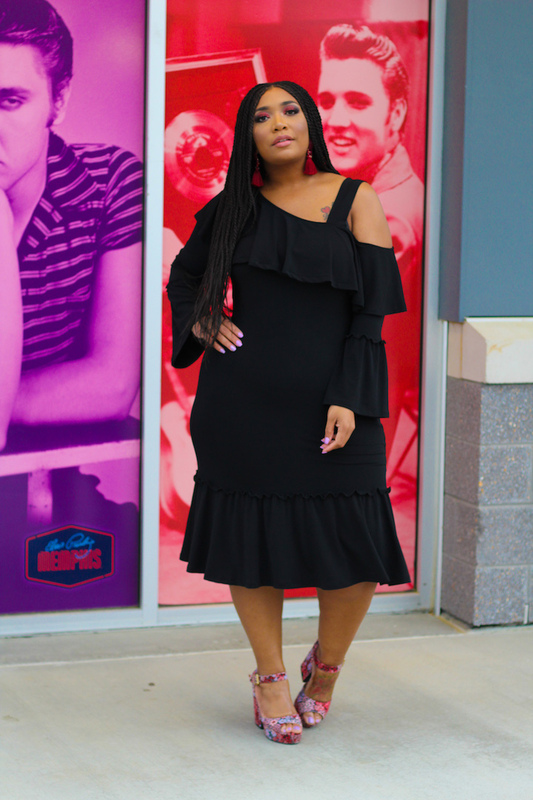 This event was chic so I opted for this little black dress that spoke volumes. It was soft figure flattering and moved with my body. 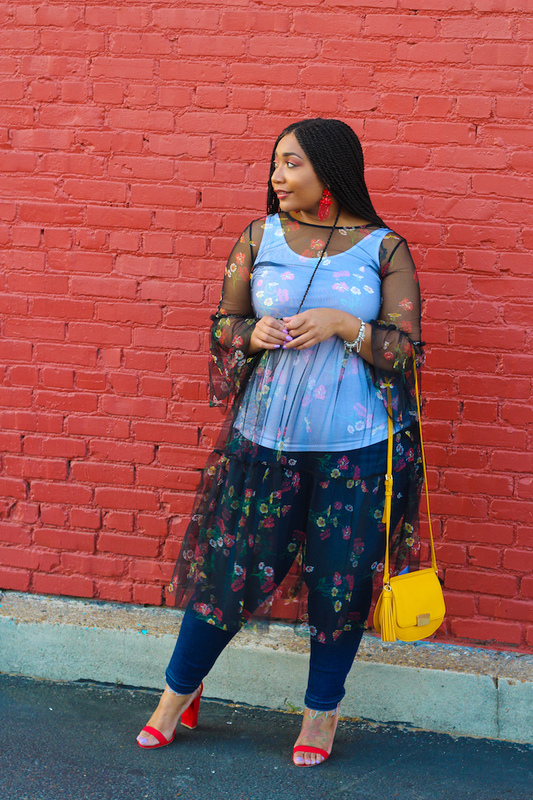 I went with some comfy tapestry platforms (similar) and tassel earrings to complete this outfit. Style Notes: I am wearing a 0x in this dress and I suggest you go down a size. I am usually a 1x, but with the fabric content I sized down. My shoes (similar) are true to size in a 10. The last Memphis Fashion Week event I attended was the Emerging Designer Runway show that took place at Memphis College of Arts. This show was especially amazing because it featured designers who were selected from a call out for sketches last Fall. 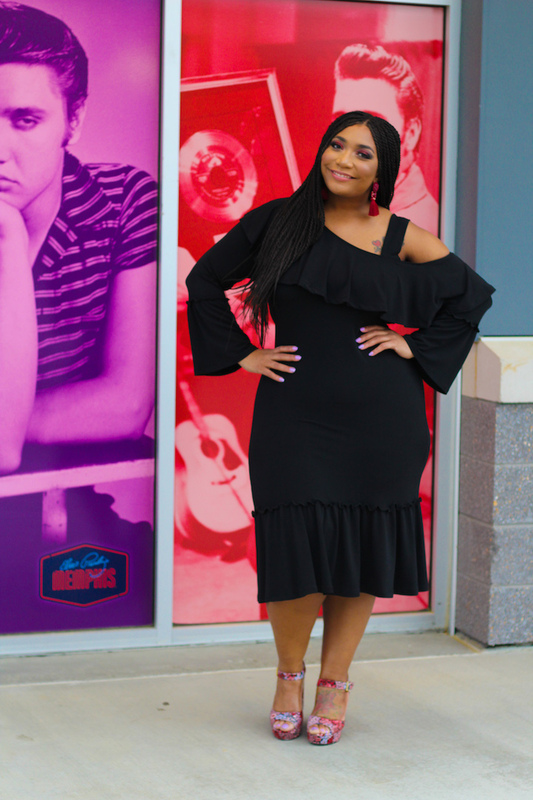 These designers then had “approximately six months to make their designs runway-ready by selecting fabrics, creating patterns, sewing their pieces, and fitting models.” For this event I could not wait to wear this navy bodycon. 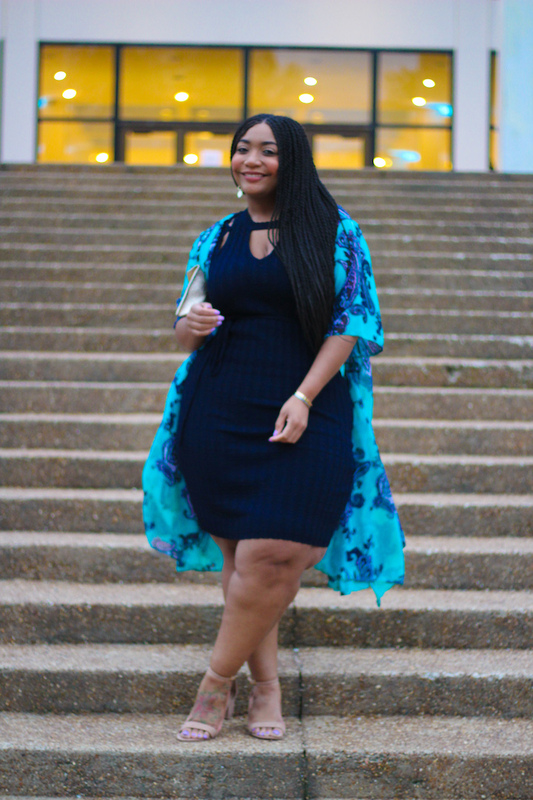 This navy bodycon was everything and fit incredible. 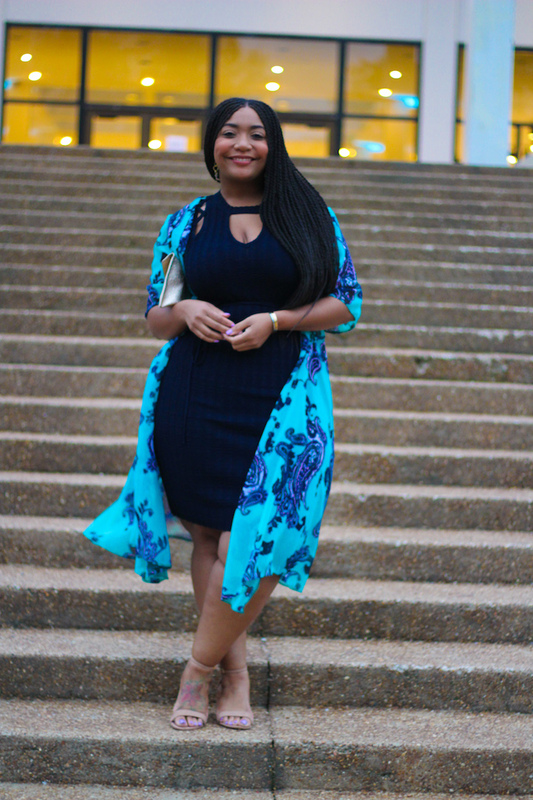 I added my all-time favorite kimono (similar) this kimono is super old, my tan block heels, and a gold clutch. 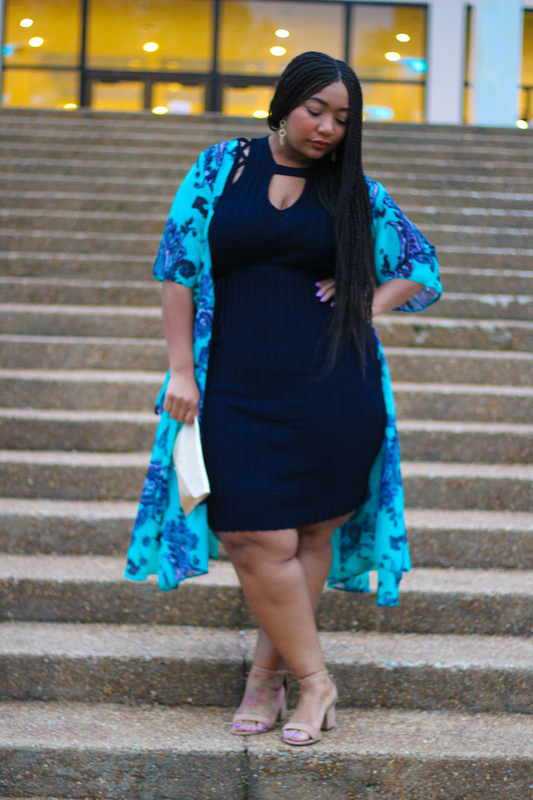 Style Notes: My navy bodycon is in a size XXL. The fit is perfect. My kimono (similar) is old in a size 2x. My tan block heels are true to size in a 10.